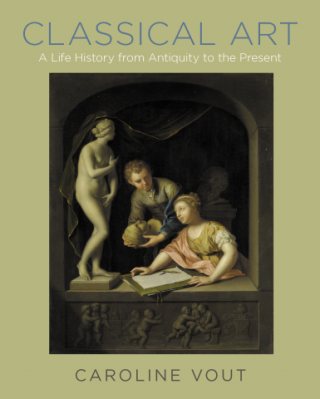 Classical Art : A Life History From Antiquity To The Present - ubiq bookshop: the best place to buy books! How did the statues of ancient Greece wind up dictating art history in the West? How did the material culture of the Greeks and Romans come to be seen as "classical" and as "art"? What does "classical art" mean across time and place? In this ambitious, richly illustrated book, art historian and classicist Caroline Vout provides an original history of how classical art has been continuously redefined over the millennia as it has found itself in new contexts and cultures. All of this raises the question of classical art's future. What we call classical art did not simply appear in ancient Rome, or in the Renaissance, or in the eighteenth-century Academy. Endlessly repackaged and revered or rebuked, Greek and Roman artifacts have gathered an amazing array of values, both positive and negative, in each new historical period, even as these objects themselves have reshaped their surroundings. Vout shows how this process began in antiquity, as Greeks of the Hellenistic period transformed the art of fifth-century Greece, and continued through the Roman empire, Constantinople, European court societies, the neoclassical English country house, and the nineteenth century, up to the modern museum. A unique exploration of how each period of Western culture has transformed Greek and Roman antiquities and in turn been transformed by them, this book revolutionizes our understanding of what classical art has meant and continues to mean.